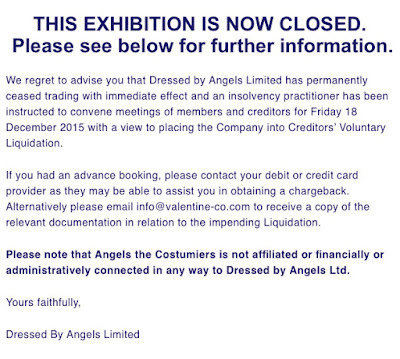 Making My 4th Doctor Costume: Dressed By Angels - CLOSED! 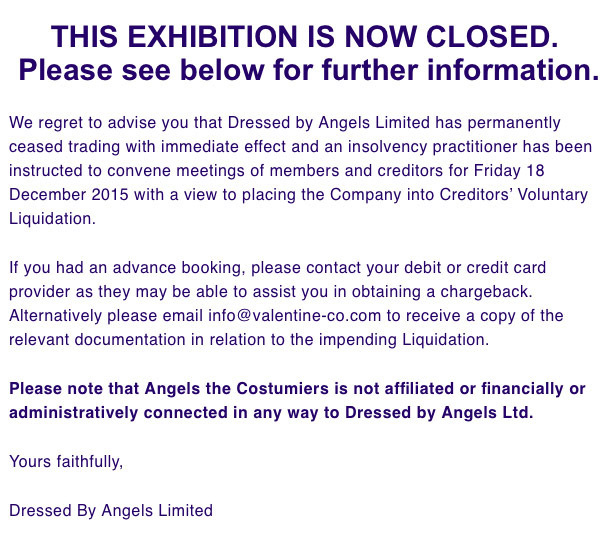 After only going to see the Dressed By Angels exhibition on Friday, I read today on Facebook that it has closed with immediate effect! Sure enough the website is now down, replaced by a sorry notice. The exhibition was supposed to run until January, but is now gone. Having spoken to a friend who knows a little of the inside to this, I hear the choice of venue was really a nail in the coffin and the relatively thin displays did not help. It’s sad that it closed so quickly, but I’m grateful i got to see it when I did.